Jayaprakash Satyamurthy reviews the new EP from Hexvessel titled Iron Marsh released via Svart Records. 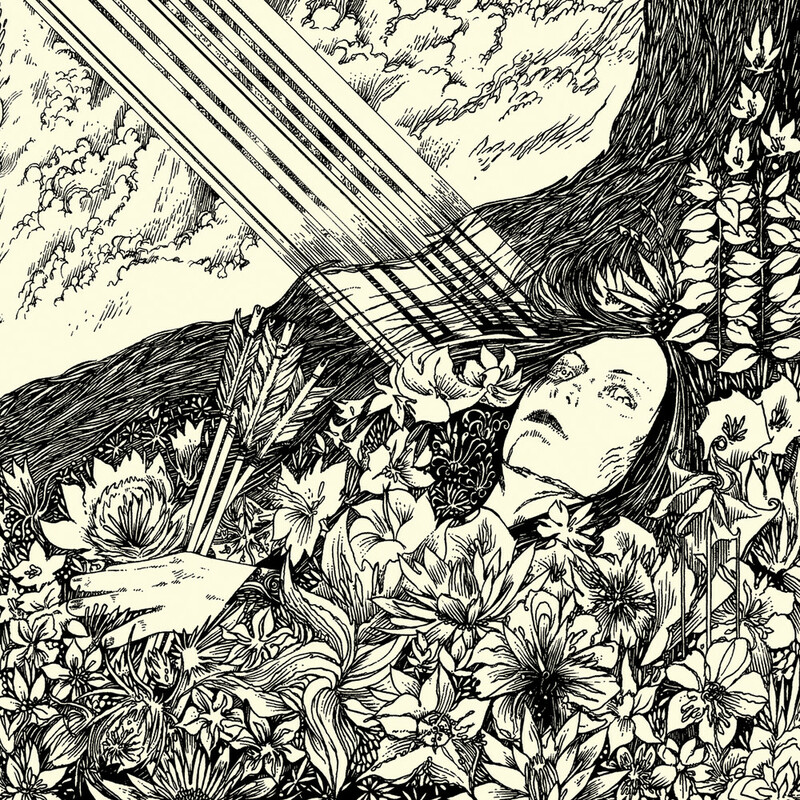 ‘Dawnbringer’ was an auspicious debut for Hexvessel, bringing them to the attention of the growing occult doom scene, even though they don’t really play doom, or didn’t at that point, and getting them a slot at the Roadburn festival. Their second full-length, ‘No Holier Temple’ added a wider sonic range, including electric guitars. The album was also darker, more varied and heavier – without resorting to generic strategies – than its predecessor, which felt a bit whispy, a hair’s breath away from twee at times. Make no mistake, Hexvessel are still playing psychedelic folk music, but they’ve moved from being a potential novelty act into something that has the power and scope to appeal to fans of seminal neofolk acts like Current 93. The ‘Iron Marsh’ EP carries on with this trend, opening with a moody epic track called ‘Masks of the Universe’ where incantatory vocals and folksy fiddles co-exist with almost gothic electric guitars. ‘Superstitious Currents’ is more folksy, with an elegiac tone and brooding, droning strings contrasting with the lucid fiddle melodies and percussive backbone. ‘Tunnel at the End of the Light’ is a remake of a track from ‘Dawnbearer’. This new setting underscores the evolution of the band’s sound. The original version was sparser, acoustic, more overtly folk. This time there are electric guitars and keyboards and a conventional drumkit, as well as female backing vocals in place of Carl-Michael Eide’s guest vocals, but the song hasn’t lost its darkly beautiful mood. The arrangement is less craggy, but it hasn’t exchanged character for volume. Hexvessel have made the transition from something akin to a darker, more pagan (and less eccentric) The Incredible String Band to something closer to the magnificent blend of folk music (and mood) with rock instrumentation achieved by Jethro Tull on ‘Heavy Horses’ and they make good use of the expanded resources afforded by this transition. The Yoko Ono cover, ‘Woman Of Salem’ carries on with Hexvessel’s tradition of oddball cover choices, although this one is a lot less obvious yet even more apropos than some. A snaky wah-laced guitar slithers in and out of a thrumming acoustic guitar and keyboard arrangement with dual male and female vocals. The end result is a weird, black magic-haunted song that could easily stand alongside ‘Witchfinder’ by Mandy Morton and Spriguns, a unjustly obscure band from the British folk revival of the 70s (look them up – youtube is your friend!). It’s also worth listening to Yoko Ono’s original – she’s so much more than just the woman who supposedly broke up The Beatles. The last track, ‘Don’t Break The Curse’ starts strongly and has some great spoken word bits, but feels a bit over-extended by the time it finishes. I don’t think this EP marks another step forward in Hexvessel’s stylistic growth, but I also think they are at a point where they can afford to consolidate the gains they’ve made in extending their sonic palette rather than venturing into further experimentation. As such, ‘Iron Marsh’ shows off the strengths of their current approach and serves as an effective appetiser for the next full-length. 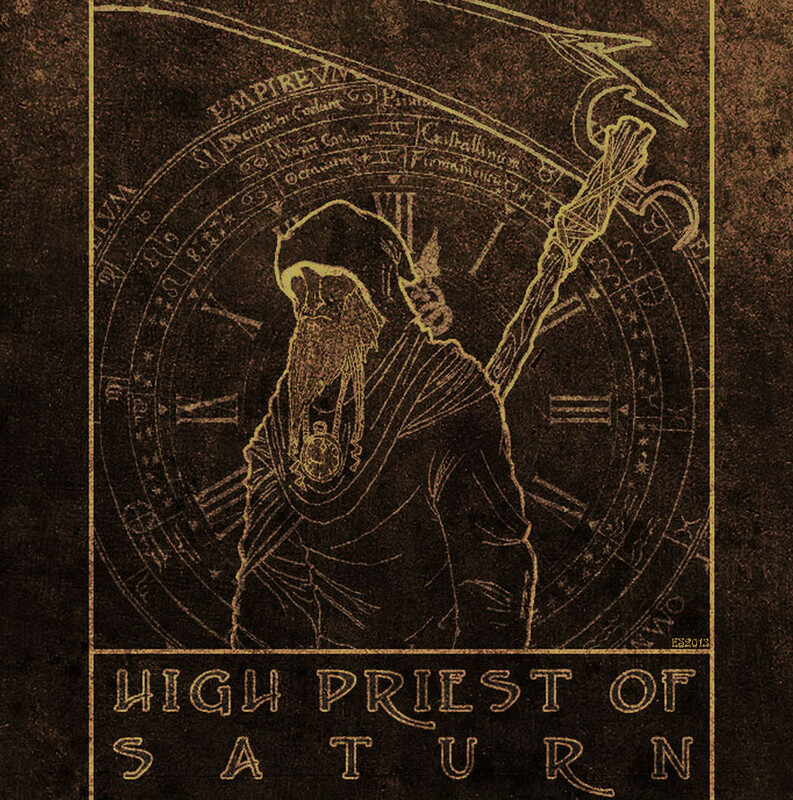 Jayaprakash Satyamurthy reviews the new self-titled from High Priest of Saturn released via Svart Records. How much is enough? There are musical genres that thrive on dynamism and variety. Then there are genres where you accept, even expect a certain stasis – drone for example, or ambient music. A lot of doom metal (not all!) falls under this category – think of the mesmeric iterations of an Electric Wizard or Reverend Bizarre song. Certainly, the occult-tinged newcomers High Priest Of Saturn fall into this camp. Their songs are long, falling between 9 and 12 minutes, and there isn’t a lot of variation in tune or tempo on display. So what one looks for is a combination of mood, layering and perhaps some instrumental lead breaks. The songs do invoke a definite atmosphere with their ponderous riffs, something dark, serene and earthy, not unlike the state of mind conjured up by Alunah, another female-fronted band with pagan and occult leanings. The instrumental mix also helps keeps the texture interesting, with a prominent organ either following the riffs or providing its own twist to the proceedings. There’s a nicely overdriven bass that breaks out of the mix now and then and the guitarist has great tone and a nice line in meandering solo lines. The singer is a little generic, and there really isn’t the greatest variation in her vocal patterns from one song to the next. Then again, the songs themselves are all cut from the same cloth (a sort of homespun cotton, practical and dark but with some elegant touches of embroidery, to capitalize on the metaphor), so what we have here is an album with a great unity of tone and device. But is it enough? I’m not quite sure, and yet I’m not sure that greater variety was ever in the band’s masterplan. There are doom bands who seize on Iommi’s keep-them-guessing songcraft and thoughtfully (or sometimes willfully) vary their songs with interludes and tempo shifts – later Cathedral comes to mind, or trad doomsters Lord Vicar. Even Electric Wizard, the masters (and mistress) of the riff that stretches from here to the horizon actually have a fair amount of dynamics and shifts in their songs once you settle in and get into the groove. These songs are a lot more static, and there isn’t a single deviation from the midtempo groove anywhere in sight. Instead, the band takes its time, giving the riffs time to ebb and flow with occasional wave-crests of solo improvisation breaking out. The vocals come and go, more like a ritual chant than anything else, and there are subtle climaxes and plateaus like the extended keyboard and guitar solos in the middle of ‘On Mayda Insula’. Ultimately, this isn’t the kind of album that makes an instant impact. I don’t think it’s likely to evoke strong passions in a listener, but it is a very pleasant, gorgeously gloomy ride. The slow, majestic riffs, the laidback jams and the overall consistency of atmosphere are all quite effective. It’s like riding through hills that likely contain great natural beauty, but are currently veiled with thick mist. 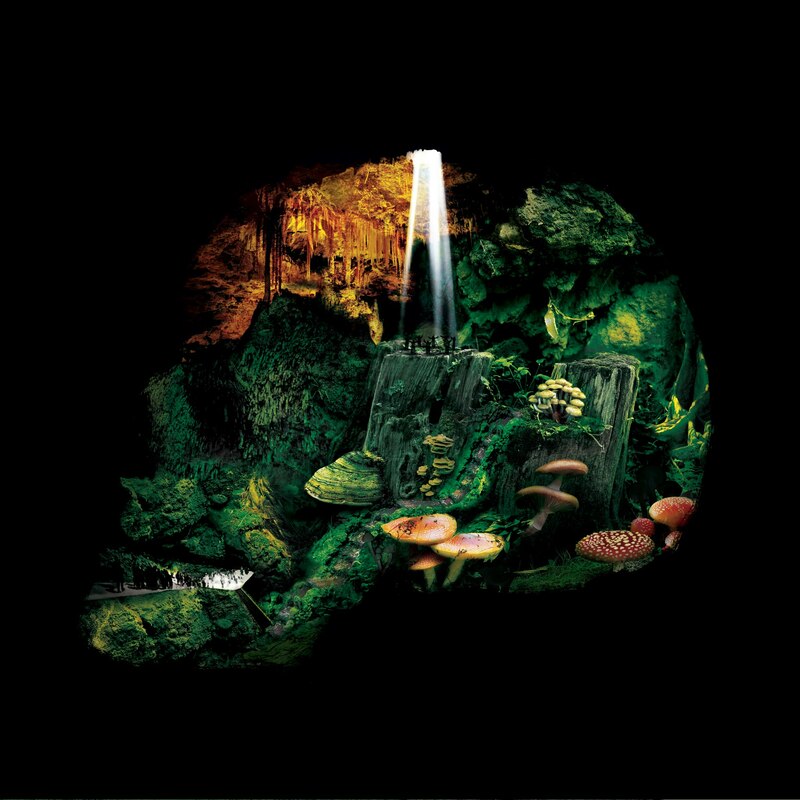 A few more stand-out melodies and some vocal hooks would have gone a long way towards creating a more memorable debut, but if you’re in the mood for mystery, melancholy and things seen from afar in half-light, you could do worse than spin this album.